It’s time to celebrate you, Member-Owners! 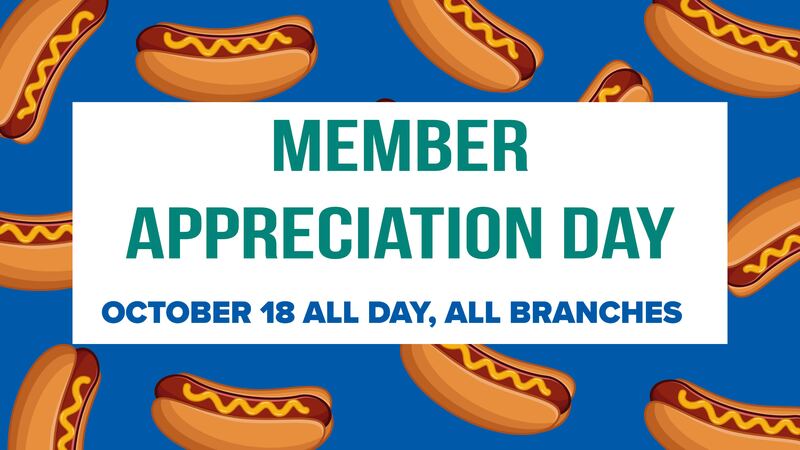 Thursday, October 18th Bowater Credit Union will be hosting our annual Member Appreciation Day. Stop by any of our five branches to enjoy free food, t-shirts, and a chance to win some $$$. In the morning, we will be serving coffee and donuts to all members and in the afternoon we will switch to some delicious hot dogs. While at your local branch make sure you pick up a t-shirt (while supplies last) and enter to win $100. Since 1997, Bowater Credit Union has dedicated an entire day towards celebrating their members, no matter how long they’ve been there. We think each and everyone of our members matter and that is why we look forward to Member Appreciation Day each year. We exist to serve our wonderful member-owners and cannot wait to spend the day with them October 18th!